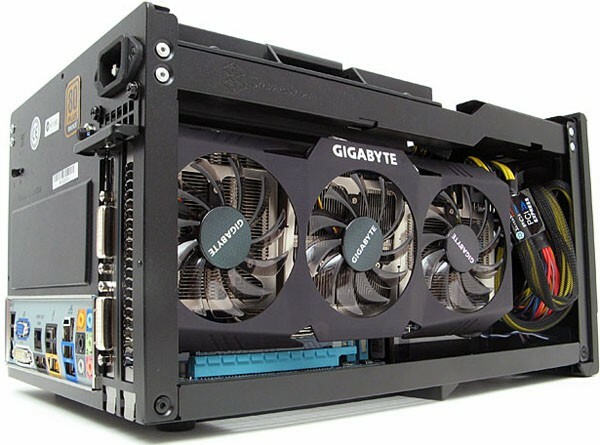 The GIGABYTE GA-H55N-USB3 continues to make waves in the small form factor computing arena. Jeff from the Tech Report recently got his system building hands dirty with his latest Mini-ITX build featuring GIGABYTE’s little Mini-ITX that can and Silverstone’s SC07 shoe boxed sized case. The Mini-ITX form factor has long been a viable platform for low-power desktops and home-theater PCs, but it's never been particularly friendly to high-performance gaming rigs. Today, however, we've proven that you can build one heck of a midget gaming system with Gigabyte's GA-H55N-USB3 motherboard and Silverstone's SG07 chassis. In fact, the case and mobo have enough headroom to accommodate an even more powerful system than the one we cobbled together. OMG!!! :O How is it possible that all this fits in there? Gigabyte products have a proven quality.